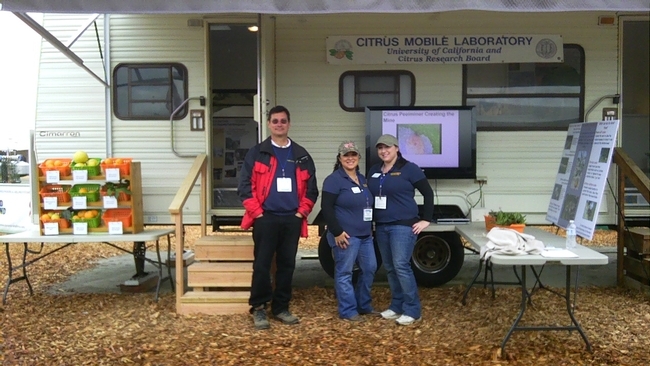 My crew and I have joined the Citrus Research Board in an outdoor area (L36) at the World Ag Expo this year. We have the mobile lab set up to display California red scale, earwigs, Asian citrus psyllid, diaprepes root weevil, citrus leafminer, soft scales, and scarring damage. Please join us to chat about citrus pests on Thursday.